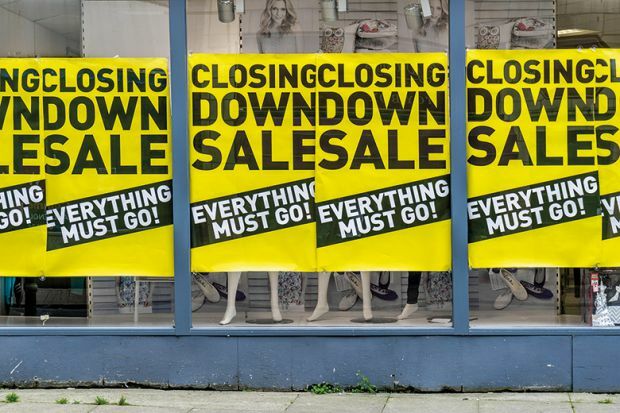 As House of Fraser announces closures and barely misses the fate of BHS, Maplin, Toys R Us and sadly many more, analysts start to consider what went wrong. I’ve read a lot and summarising it all, many say it’s down to the online shopping boom killing the high street. It’s a bit like saying video killed the radio star. Except we know that’s not true. Radio is thriving so why can’t the same be true for the high street? I think there’s another way to look at it. People like you and me want and enjoy going shopping. I know people who love going food shopping and won’t give it up entirely even if grocery deliveries make far more sense for their busy lives. I also know people who find browsing, especially in department stores, the best way to whittle down what they want, and even find things they didn’t know they wanted. And the science of segmentation especially one where you look at attitudes only underlines this need for a high street experience. The news reports about the historic retail stalwarts going to the wall there were lots of included vox pops from customers who were really sad to see them go. It highlighted that they were well liked. However, the economics showed that despite this they were not well used. And there is the rub. You have to get the price, the product and the experienceright. The brand can be well known and established but it has to stand for something that is relevant today. You have to move with the times to survive and adapt to the changing needs of a diverse set of consumers. In short find your points of difference and reasons to be loved. Primark is a good example of a brand that is getting this mix right – it knows its audience, it sources appealing on trend products with a high turnover of choice and the price is right. They offer the experience of an instant gratification buzz that some people want. Sure Amazon can get you a range of products in a matter of hours, but if they are not right then returning them is a bore and the Amazon experience although operationally excellent is not exactly retail-tainment’ or retail therapy! At the other end of the shopping experience spectrum you have the Scottish brand Locavore, which has completely tapped into the eco-wave of consciousness and made it its remit to cut food and packaging waste. It offers things like vending machines so people can fill their own milk bottles and ditch the plastic. People literally come from miles around to fill nostalgic glass bottles with milk and know that they have made a stand for eco ethical shopping. So I don’t think it’s as simple as saying that the demise of the high street is about online shopping. Instead it’s that the brands did not bring a sufficiently differentiated experience. Plus, when times got tough they turned to discounting and that’s a huge risk because that’s when you really do compete with online. No high street retailer can win a price war with online, their cost base is too high. If your leading on price and don’t have a differentiated experience or reason to go to a shop, it’s inevitable that ultimately you will go the way of the BHS and Maplins of this world. So it comes back to knowing what your customers want and value. It’s true that online serves customers who want range, fast delivery, out of hours access and cheaper prices. But retail can offer so much more. From the straightforward try before you buy experience, to more exciting feel good experiences. You can’t offer that if you don’t know who your customers are, and who your competitors’ customers are and what makes them go to a store and buy. It’s basic but it seems to be lacking in the boardroom and to my mind the sooner retail PLC switches the basics back on the sooner the British High Street will be restored.